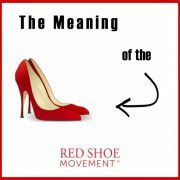 You are here: Home / Red Shoe Movement Blog / Women Empowerment Articles / Time Magazine Cover Features Latinos – Finally! I’m a faithful subscriber to Time magazine, so let’s get that out of the way. For the last three or four years I’ve regularly sent letters to Managing Editor Richard Stengel requesting more stories about Latinos, other than the occasional mention in a negative story discussing how poorly Hispanics do in education or how much they are affected by diabetes. I wrote letters to complain about the lack of Latinos in Times’ list of 100 Most Influential People. What about the innovators, scientists, teachers and entrepreneurs who are impacting our economy and our lives? Are you telling me that among a population of 50 million Time couldn’t find one influential Latino worthy of the list? The only Latin American who made it in 2011 was Argentine soccer star Lionel Messi who lives in Barcelona. I wrote applauding the hiring of Indian-American Fareed Zakaria, a brilliant mind and talented writer, and suggested that Time needed to also add some Latino voices. None of my letters were ever published or the issues acknowledged. 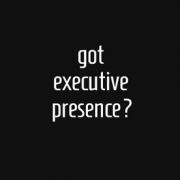 Enter Steven Wolfe-Pereira, EVP and Managing Director of MV42, the multicultural arm of MediaVest, and Robin Steinberg, EVP of Publishing Investment and Activation at MediaVest. According to Wolfe-Pereira the duo met with several English-language thought-leadership publications to share their thoughts on how to shift from “Multicultural Marketing” to “Marketing to a Multicultural Nation.” Stengel was among the leaders they met with. “Recognizing how Hispanics were truly going to impact the 2012 elections, Stengel decided to not only do the article, but was motivated to make a statement, hence he put the “Hispanic Voter” on the cover and for the first time in the magazine’s history had the copy in Spanish,” said Wolfe-Pereira. As Wolfe-Pereira said in his email, “the implications are huge” because Time Magazine “sets the news cycle and the tone for the national conversation.” And for this, we do owe our gratitude to MediaVest’s team. But I can’t help wonder if the front cover reflects an honest recognition of the power of Hispanics in the country and it is the beginning of ongoing coverage, or if it only plays to an election year’s news-cycle. I wish Time had put us on the cover to acknowledge that Hispanic small business growth regularly outpaces the national average. Or because one of its journalists had written an article on the growing number of Latinas entrepreneurs, or on the lower rates of divorce Latinos have compared with most other groups except Asians. I seriously hope that Time’s editorial team understands that the concept of “Multicultural Nation” goes beyond the months preceding an election. 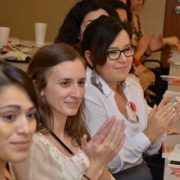 That Hispanics are making an impact across multiple industries, and that they should not only enter the public conversation when they become the voting block that can decide the election. But for now I take it. 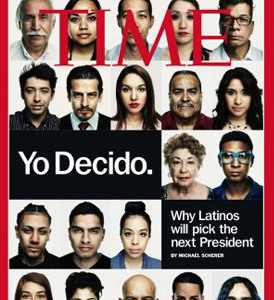 Being on the cover of Time can only mean that the Latino voter is here to stay. Perhaps going forward, this voter will become a lot more and it will be worthy of attention in between elections. Mariela Dabbah is the CEO of Latinos in College a renowned speaker, media contributor and award-winning author. Her new book Poder de Mujer will be released March 6, 2012 by Penguin. 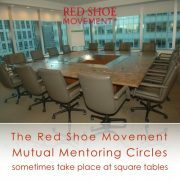 https://redshoemovement.com/wp-content/uploads/2017/02/RSM-logo-website.png 0 0 Red Shoe Movement https://redshoemovement.com/wp-content/uploads/2017/02/RSM-logo-website.png Red Shoe Movement2013-01-01 02:41:562014-05-02 16:31:30Time Magazine Cover Features Latinos – Finally!